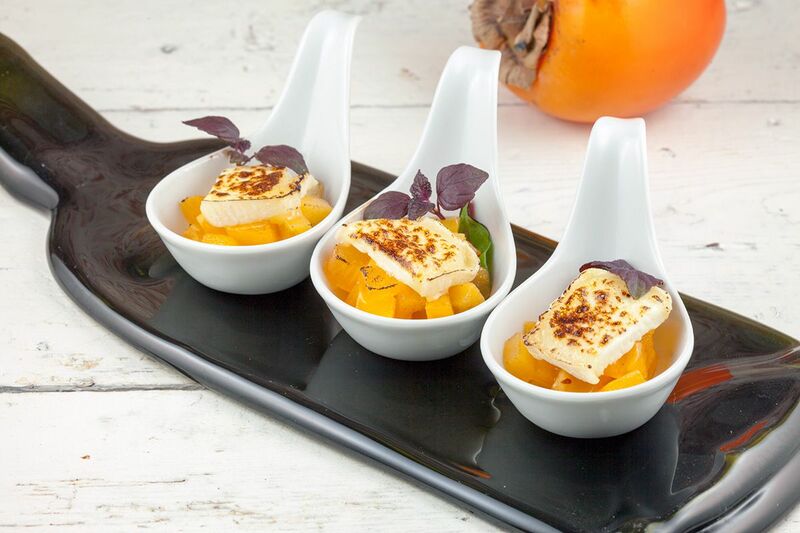 Experience a delicious combination of fruit and cheese in these persimmon and goat's cheese appetizers. Quick and easy so you have more time to enjoy NYE! PEEL the persimmon and chop into small pieces. RINSE the lettuce leaves if needed and dry them using a salad spinner. 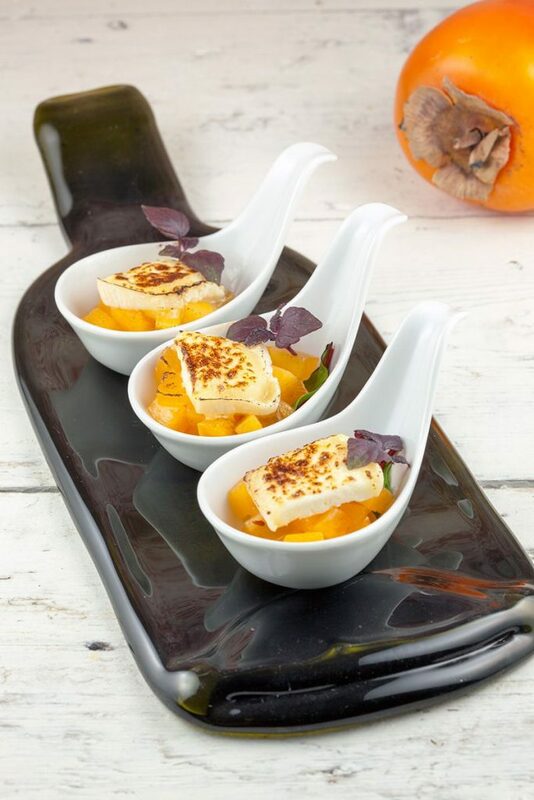 PLACE some of the lettuce on the bottom of the amuse spoons and DIVIDE the persimmon pieces. 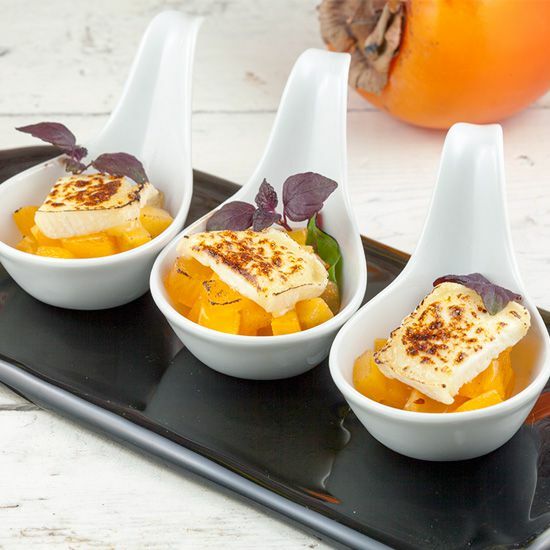 SLICE the goat’s cheese into slices and place them on top of the persimmon. MELT the cheese using the kitchen torch. If you like you can garnish the appetizers with cress and serve immediately. Enjoy!